Jandowae, in Queensland, Australia, is situated on Highway 82, also known as the Dalby-Jandowae Rd. Jandowae is 48 km north of Dalby, en route to Mundubbera. Today, Jandowae is home to approximately 1000 people. Residents and visitors are well catered for having many of the amenities enjoyed by much larger towns. Visitors are always welcome in this friendly country community, with plenty of accommodation available in Jandowae caravan park. Jandowae boasts a state of the art Community and Cultural Centre which incorporates the town library, tourist information, arts and crafts, professional offices, meeting room and public toilets. 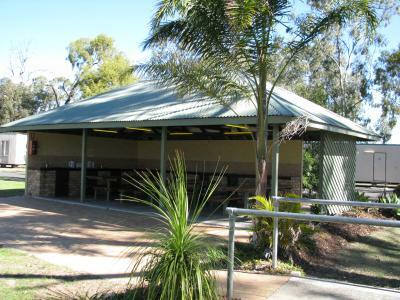 The Centre is also a Queensland Government Agency Program office, which provides one-stop access to more than 400 government services for the people of Jandowae and surrounding districts. Jandowae has an ANZ bank, and three pubs. Jandowae is located close to the historic Jimbour house, and is a perfect place to stay when visiting this historic gem. Jimbour is both a tiny town north of Dalby and the location of one of Australia's most gracious private historical homes, featuring colourful formal gardens, a cafe and a cellar door for wine tasting. The original Water Tower, constructed in the 1870s has been transformed into the new Cellar Door. Celebrating the art of living well, the Cellar Door combines fine wine and food in a picturesque setting overlooking the undulating plains toward Dalby. In addition to the opportunity to taste the latest Jimbour Station wine offerings, the Cellar Door features a cafe, presenting a seasonal menu featuring an abundance of local produce, including cheese. The menu is complemented by a wine list featuring current release Jimbour Station wines. All wines are available by the glass. Open daily for morning and afternoon teas and lunch. 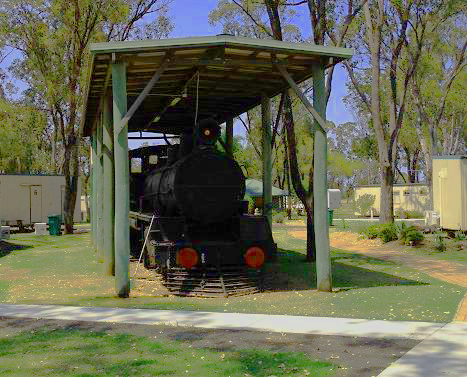 As the Northern outpost of European settlement, Jimbour holds a special place in Queensland and Australian history. Jimbour hosts a growing selection of quality events each year, either utilising the House proper or the extensive grounds under cover of the grand marquee. Jimbour also offers memorable Wedding Receptions and the historic chapel offers a unique venue for intimate wedding ceremonies. Jimbour is an ideal conference venue.